The Samsung Galaxy S4 Active is certainly worthy of carrying the Galaxy S4 name, but are there genuine reasons to pick it over the regular S4? The IP57-level water resistance is nice, but it's not something that can't be added with a third-party case. Admittedly, a thick, heavy and ugly case, not suitable for everyday use (but then you can put it on only when needed). Then again, your Facebook photo album from the summer can look very different with the Galaxy S4 Active - you can take photos where you wouldn't before (not with your phone, not with a digital camera). You'll also be less wary taking your phone fishing or on a boat. There are apps for marine navigation and weather, for example, so you can use your S4 Active for that instead of a dedicated unit. Apps for fishing exist too, but the most important point to be made here is that a water resistant smartphone has uses you may not have thought of before. 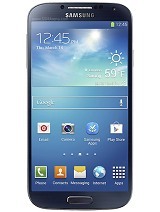 Escaping from the ubiquitous design of the Galaxy S4 and the Super AMOLED display may be an additional perk for some - we've heard and read plenty of complaints about both and this is a chance to get Galaxy S4 specs without either of those. The Galaxy S4 - either the I9500 with Exynos 5 Octa or the I9505 with Snapdragon 600 - make a fine alternative if you prefer thin and light over water resistant. 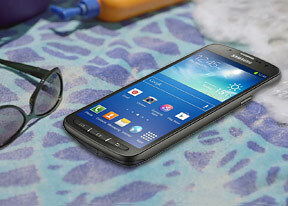 They also pack a Super AMOLED screen and a 13MP camera without costing extra. The Sony Xperia Z is thin too and certainly prettier, unless you are into the rugged charm of the S4 Active. But its LCD screen has poor viewing angles, the Snapdragon S4 Pro chipset is not up to par with Snapdragon 600 and the smaller battery (2,330mAh vs. 2,600mAh) is non-removable. 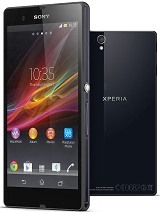 The Sony Xperia ZR has a smaller screen - 4.55", 720p - which makes it slightly more compact (and potentially cheaper too, it's not on sale yet). It also carries an IP58 certification, making it even more resilient to water. Huawei also has its hat in the game - the Ascend D2. While the K3V2 chipset is no performance monster, with a 5" 1080p screen, 13MP camera and 32GB of built-in (non-expandable) storage and 3,000mAh battery, the D2 is a worthy contender. The Samsung Galaxy S4 Active is not the best smartphone in the Samsung lineup, but if you add "that I can put in water," things definitely change. It's a very good 2013 flagship aimed at people who until recently had very few options - as you can see there aren't many high-end smartphones with water resistance. Sure not everyone needs to have an IP57 certified handset, but if it doesn't cost anything in terms of overall smartphone performance than it certainly doesn't hurt having it. Initially it may just give you peace of mind, knowing that you won't ruing your vacation by dropping your expensive smartphone in the water, but at some point you'll inevitably want to explore the opportunities that an element-defying handset gives you.